Ace Antonio Hall (born July 4th, 1966) is an American urban fantasy and horror writer. He is best known as the creator of Sylva Slasher, a teenage zombie slasher who also raises the dead for police investigations, which includes novels and short story collections. 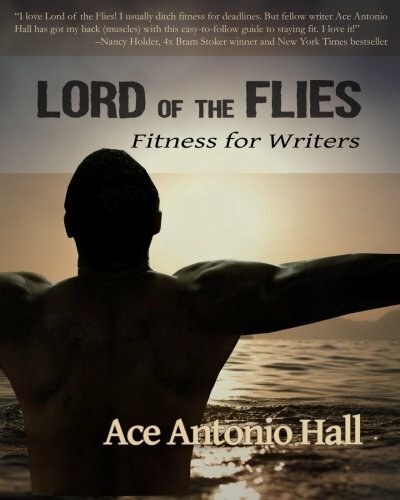 His non-fiction book, Lord of the Flies: Fitness for Writers was published by Omnium Gatherum. One of 2017’s best Bruno Mars’ video/song parodies of 24K Magic, called 24 Cali Fitness, was released to promote the book. Among his many short stories that were published in anthologies and print magazines, Hall’s short story, Raising Mary: Frankenstein, was nominated for 2016 horror story of the year for the 19th Annual Editors and Preditors Readers Poll. Additionally, three of his short stories were on the Horror Writers Association Reading list for the 2017 Bram Stoker Awards. A former Director of Education for NYC schools and the Sylvan Learning Center, the award-winning educator earned a BFA from Long Island University. Hall currently lives in Los Angeles with his bonsai named Bonnie.